When you reach a certain level of experience in the NBA, very few things can surprise you any longer. It’s one of the significant upsides to being a veteran. 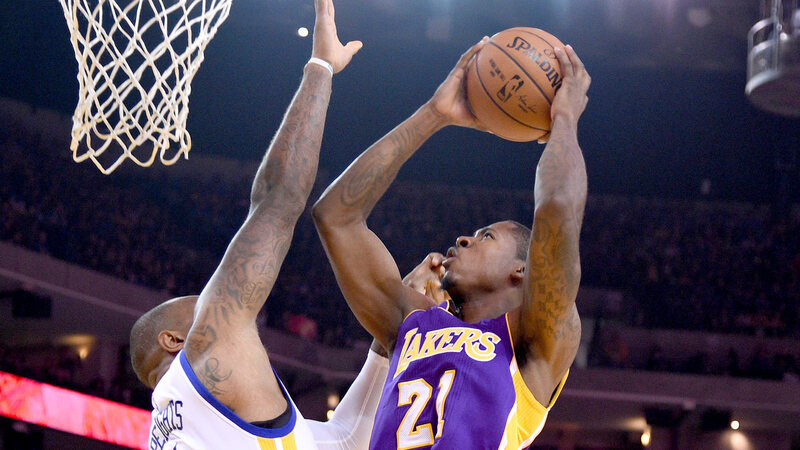 New Portland Trail Blazers power forward and former member of the Los Angeles Lakers Ed Davis has reached that level, so he wasn’t shocked when he and the Lakers parted ways this offseason. "Nothing in the NBA is going to surprise me at this point," Davis said. "But obviously they were my first choice going into free agency. We couldn’t get a deal worked out so I just moved on, but I enjoyed my time there. The fans there really supported me and they really wanted me back. They had my back the whole year and most of them still do now, so I enjoyed my time there. But I’m with Portland now and all that’s behind me right now." It’s a pitch perfect way to voice your support for your former team and their fanbase while looking forward to a new organization and the upcoming season. It’s that kind of levelheaded perspective — not to mention his strength around the rim and growing offensive dexterity — that will have the Lakers missing Davis from time to time this season. He was never going to be the difference-maker that takes a team to the playoffs, but he’s a solid player that any team is lucky to have.